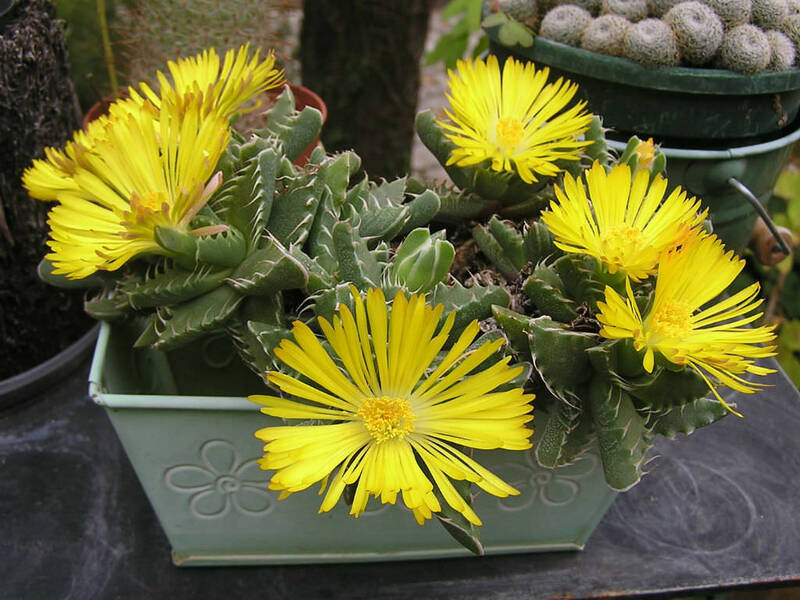 Faucaria felina is a compact, leaf succulent that forms unusual clumps of fleshy, boat-shaped, toothed leaves up to 3 inches (7.5 cm) long and up to 1 inch (2.5 cm) wide. 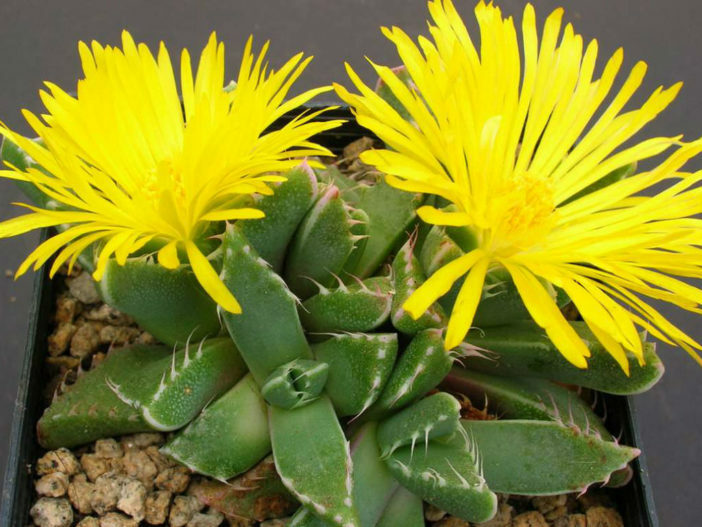 The faces of leaves are dark green to grey-green, smooth or with white dots and crystals in the outer walls. 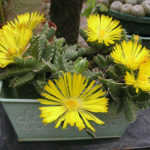 The flowers are daisy-like, yellow to orange and up to 2 inches (5 cm) in diameter. 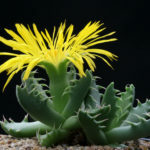 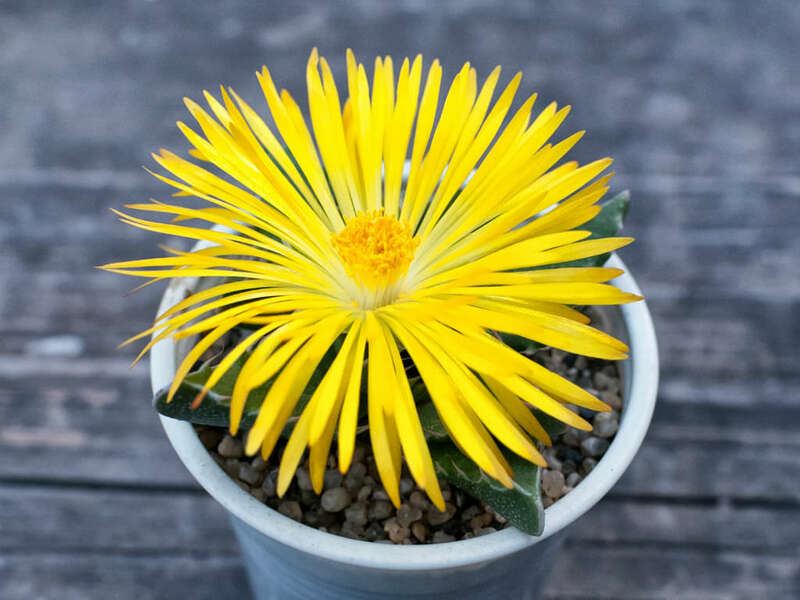 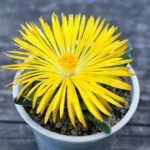 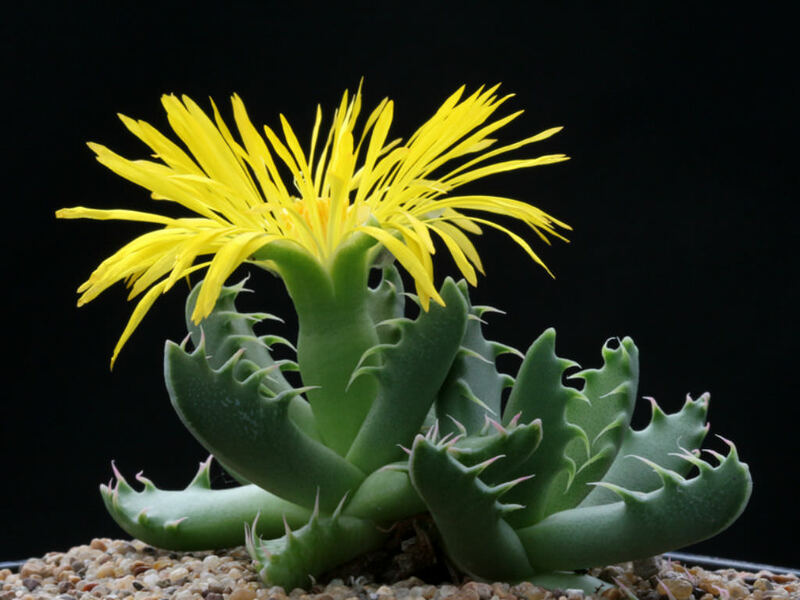 Faucaria felina is native to South Africa.